We are only days away, from one of our favourite wedding fairs of the year. 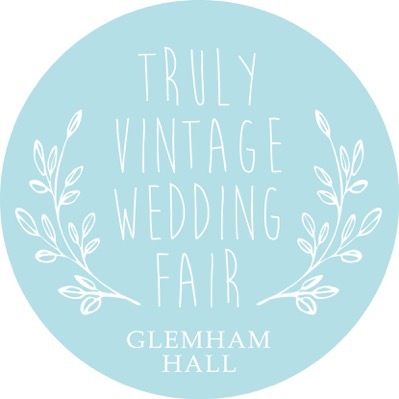 If you haven’t yet made plans for this coming Sunday 7 June, get yourselves down to Glemham Hall near Woodbridge, anytime between 10am and 4pm. Not only will we be there (naturally) but there will be many vintage style companies to talk to and it’s so worth while going, just to see the venue itself. A beautiful location for a wedding, inside and out. A truly vintage home with fabulous tales of family history and tours available. 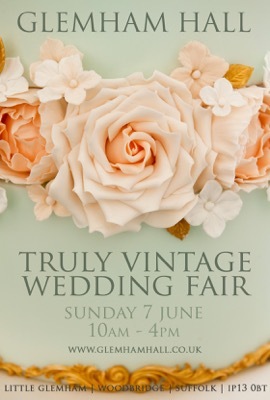 So come along to a truly vintage wedding fair and join us for some tea and cake. We love it and we know you will too!